Preheat oven to 175°C. Line the bottom of a springform with parchment paper and grease the sides with butter. Put the sliced apples in a bowl and pour the lemon juice on top. Cream together the butter, sugar and vanilla sugar for 2 minutes, until the mixture is pale. Add in the eggs, dark rum and ground cinnamon. In a separate bowl, whisk together the flour, baking powder and salt. Add the flour mixture in two additions to the batter and mix until just combined. Pour the batter in the prepared cake pan and lay the apples slices on top. Bake for 50 minutes at 175°C. Heat the apricot jam in the microwave for a few seconds. 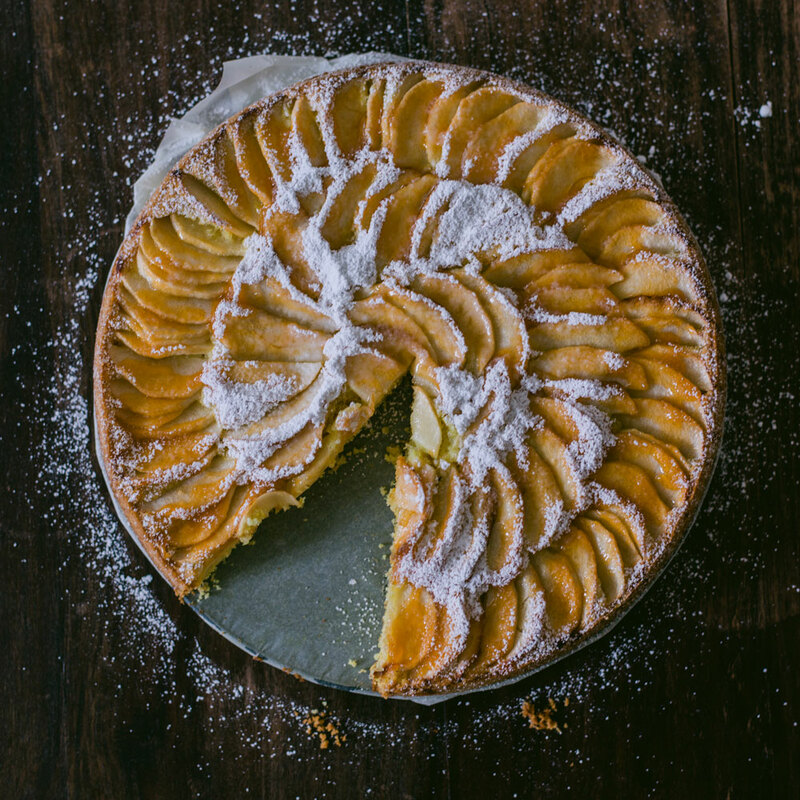 While the cake is still hot, brush the apple slices with it. Let it cool in the cake pan.